Beijing Mega-Region Plan Aims To Alleviate Poverty, But Some Are Wary : Parallels Set to be implemented in 2030, the plan would merge Beijing, the port city of Tianjin and Hebei province into a mega-region to push economic development. Some are skeptical resources will be shifted. 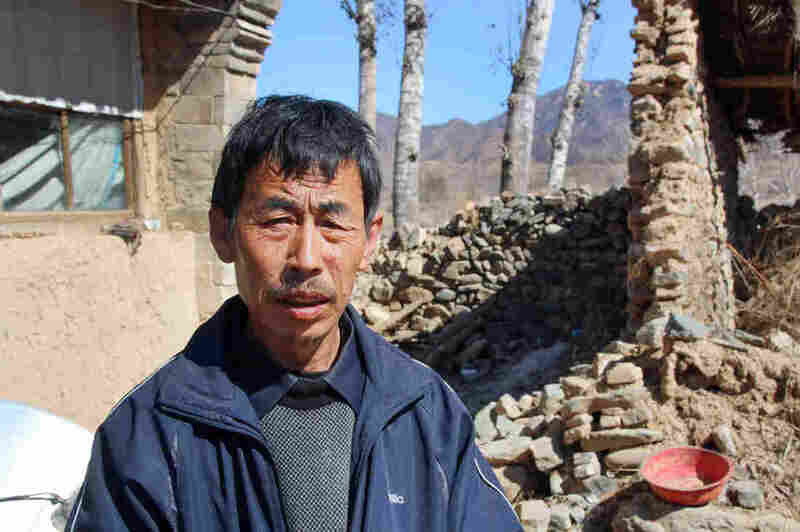 Farmer Ming Jun says he is doubtful that a government plan to integrate Beijing with surrounding cities can lift him and his village out of poverty. 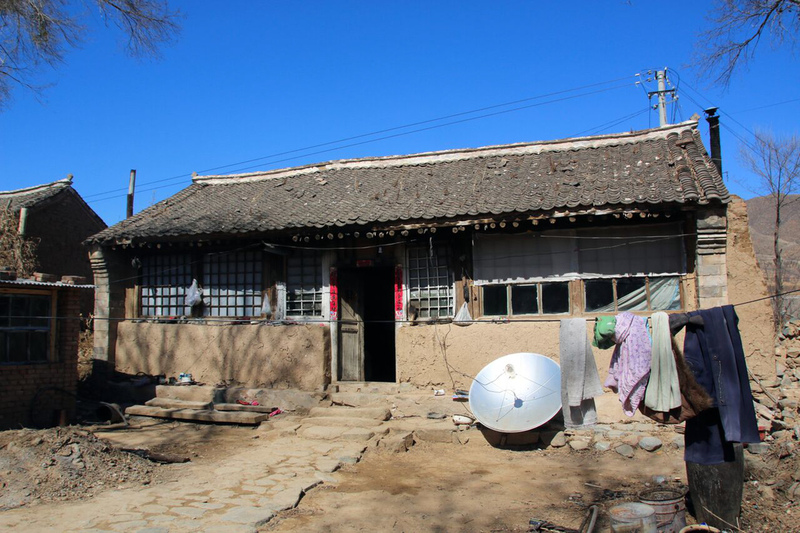 Ming Jun's village is just three miles outside Beijing city limits, in an impoverished belt of counties to the north and west of the capital. No other city in China presents such a stark contrast between its urban and surrounding areas. Three years ago, President Xi Jinping announced a plan intended to help people like Ming. Xi's signature policy goes beyond urban planning, envisioning an entire network of cities around the capital, a region with a population already one-third of that in the U.S. The plan would merge Beijing, the neighboring port city of Tianjin and Hebei Province into one mega-region. He Lifeng, director of China's top economic planning agency — the National Development and Reform Commission — which is in charge of the plan, says it will help fix what's wrong with Beijing. Ming lives in this mud brick home, three miles outside Beijing city limits. "Beijing's air pollution, water shortage, traffic jams and other urban ailments," he told reporters in March, "are the result of it having taken on too many urban functions that are not essential to the capital." The plan would redistribute the resources that Beijing has for decades sucked out of impoverished villages like Ming's. It would also connect Beijing and its satellite cities with high-speed rail. It would move Beijing municipal government offices to the suburbs to cut overcrowding. And it would relocate some urban functions and industries to Xiongan, a new industrial hub being built about 60 miles southwest of central Beijing. The plan represents an attempt to create a northern analogue to southern China's great urban clusters, one in the Yangtze River Delta, centered on Shanghai, and the other in the Pearl River Delta, centered on Guangzhou. But Ye Tanglin, of Beijing's Capital University of Economics and Business, argues that it will be hard to create an efficient and equitable mega-region by government diktat alone. In Beijing, he comments, "the government allocates the resources, not the markets. The higher your official rank, the better resources you have. The result is that all the best resources are in Beijing." Zhao Yanjing, an urban planner at Xiamen University, adds that Beijing has been trying unsuccessfully for decades to control its population. Even China's urban household registration, or hukou, system, which is designed to limit internal migration, has failed to keep the capital's population from growing at a double-digit rate in recent years, to its current population of more than 21 million people. "They may drive out a small portion of the population," Zhao predicts, "but an even larger number will come in." And that, he argues, is because China's central government effectively subsidizes Beijing's public facilities. It does this, he says, by investing the nation's tax money into the capital's schools, hospitals and theaters. And until residents can get equal value for their money elsewhere — or until they build impermeable borders to keep outsiders out — they'll keep flocking to Beijing. Zhao is not saying President Xi's grand blueprint is all smoke and mirrors. He's just saying that so far, it does not seem to address the root of Beijing's very real problems. Zhao observes that most Chinese cities have designated new districts, which are separate from their historical centers, as centers for growth. For example, while colonial-era Shanghai was centered on the Bund on the west side of the Huangpu River, in 1993, it began building farmland on the east bank into a new financial and industrial hub. One of China's foremost modern architects, Liang Sicheng, advised Chairman Mao to do the same to Beijing, when it became China's capital in 1949. But, according to Zhao Yanjing, the urban planner, China lacked the money to build a new urban center at that time. China is only now heeding Liang's advice, some 70 years too late. Much of Beijing's ancient architecture — most notably, its city walls — has been destroyed since then. The cost of relocating residents and business out of the capital will be steep, and in some cases, it's not clear who will pay for it. 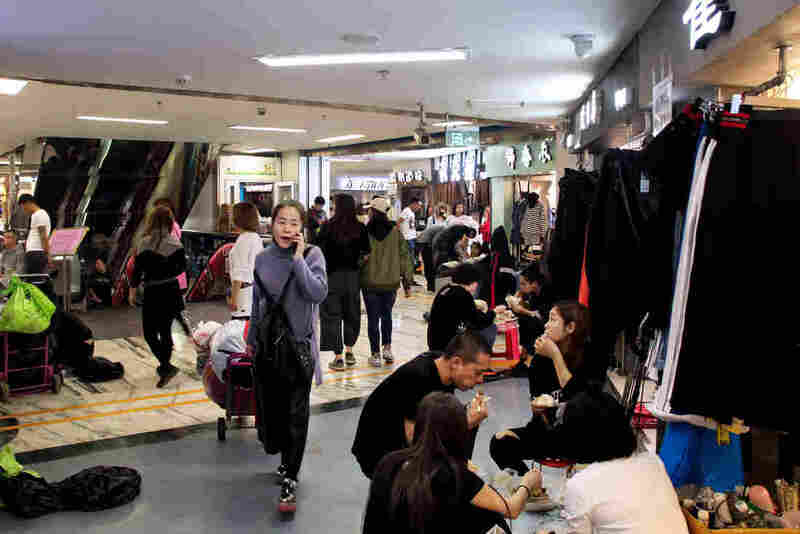 That's the situation for thousands of merchants at Beijing's largest wholesale clothing market. They have protested in the streets and been arrested, because, they say, the government wants them to move, but has not offered any compensation. One vendor from Hebei province, who's afraid of being arrested, asks that I identify him only by his family name, Yang. Yang says he moved to Beijing more than 20 years ago, and he feels he's made a contribution to this city. "When you said you needed us, we came," he says. "Now you don't need us, and you just say 'go?'" Yang says he fully supports the government's plan for the mega-region. He just doesn't want to be sacrificed for it. "Even common folks like us have brought benefits to society," he says. "We're not useless." Who's Lifting Chinese People Out Of Poverty? So far, the plan has yet to change a thing for Ming Jun in his impoverished village outside Beijing. Ming works with one hand to gather firewood. The other one was crushed under a rock while working with a road crew in Beijing. With no employment opportunities in their village, most of Ming's neighbors go into the city to look for work. No hospitals in Ming's county could fix his hand, so his employer took him to a hospital in Beijing last year. It was only his second time in his life in the city. The contrast between the city and his village left him speechless. "It was like two different worlds in one China," he recalls. Ming gets no disability payments. He says village officials will not disburse any welfare payments to him because he refuses to bribe them. Ming grows and sells corn, which brings in $200 — a year. That's not enough to fix his crumbling home, nor treat his wife's mental illness. So he borrows money from his sister, and food from a kindly storeowner. "He says, 'I know your family,'" Ming says of the store owner. "'I know you're hard up, and you're not getting any welfare. We live in the same village. How can I let you go hungry?'" The mega-region plan calls for intensive economic development to alleviate poverty around the capital. But Ming Jun is skeptical that it will solve the problem by the time the plan is supposed to be implemented in 2030. "The central government's policies are good," he says, repeating a complaint often heard in China, "but they get distorted at the local level."